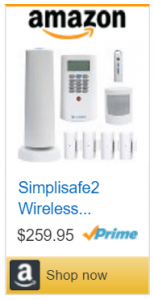 Is SimpliSafe Secure…or just Simple? SimpliSafe reviews are mostly positive but indicate reservations about the quality and sophistication of the equipment. SimpliSafe competitors have been quick to point out recently published articles outlining known vulnerabilities. 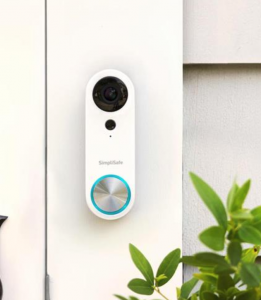 In the past, there were many SimpliSafe complaints about the absence of any sort of SimpliSafe camera, but that issue was addressed this year. The lack of home automation remains an issue. Our SimpliSafe Reviews reveal pros/cons as well as common SimpliSafe complaints. Well…after the all the hype, it is a bit anti-climatic. 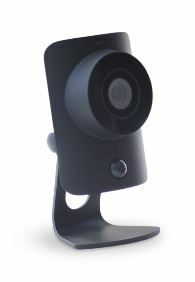 Finally released from beta testing, the new SimpliSafe camera, aptly named the SimpliCam is now available. One of the top SimpliSafe complaints has been the lack of fully integrated video surveillance capabilities. In 2017 they finally addressed that issue with the introduction of the SimpliCam. It is a fairly basic indoor camera with an average field of view, but it serves the purpose and integrates directly with the system through the SimpliSafe App. The SimpliSafe camera is a good first step in closing a huge gap between them and SimpliSafe Competitors. However, the SimpliCam falls short when it comes to providing many features which have become fairly standard for cameras in the $99 price range. Oct. 16, 2018 -The first SimpliSafe outdoor camera has been released. They have thrown their hat in the ring with the launch of their SimpliSafe Video Doorbell Pro. Designed to go head to head with the Nest Hello and the Amazon Ring, the Vidoe Doorbell Pro is being offered for $169 and requires an additional $4.99/mo on top of SimpliSafe interactive service($15/mo.) for monthly recording and storage service. In 2018 they announced plans to introduce a new SimpliSafe Outdoor Camera which would directly interface with their system, but, to date, it has yet been launched. (March 2019) If you are looking for a cost-effective system with full home automation capabilities (including outdoor cameras) you may want to take a look at Protect America. In a few short years, they have carved out a lucrative niche in the home security industry by offering affordable, easy to install DIY alarms with cheap, optional professional monitoring. They have certainly done an admirable job in creating a system that is simple to install. A recent article published in Forbes indicates that the system has inherent vulnerabilities to electronic hacking. This can prove to be a significant issue because the SimpliSafe security system does not have “over the air” update capability. Nevertheless, SimpliSafe claims to produce DIY wireless alarm systems that provide solid protection from the average break-in and home invasion. The SimpliSafe Reviews Summary and detailed editor’s reviews are followed by a section for Customer Reviews. There is also a FAQ section in which we compare them with some of the best SimpliSafe competitors. If you currently have a system, we hope you will share your experience with our readers below. 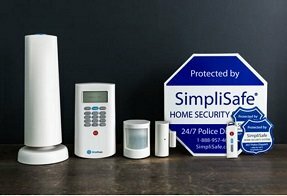 If you are considering SimpliSafe Security to protect your home, the following material will help you weigh the Pros and Cons to see if they are the best home security company to safeguard your home and family. Current SimpliSafe Security Customer? Leave SimpliSafe Reviews, HERE! 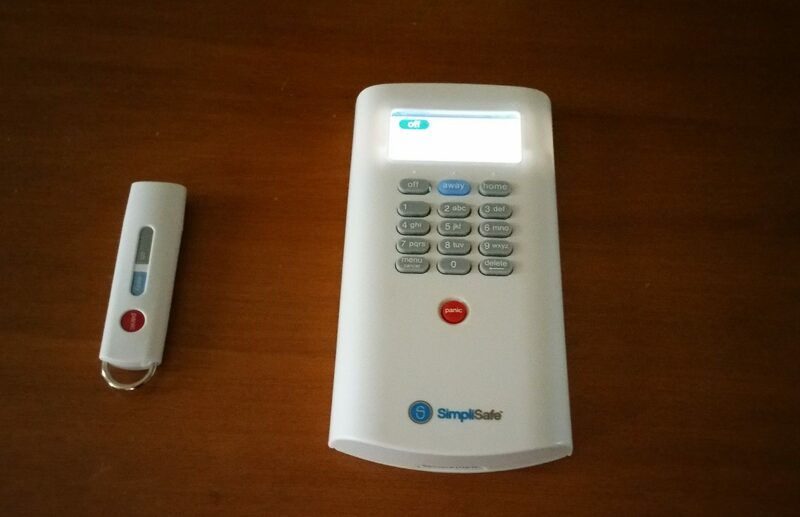 Potential SimpliSafe Home Security client…. or an existing customer looking to leave a SimpliSafe Review? Serious about safeguarding your loved ones using a SimpliSafe alarm system?…Or maybe you already a customer and are trying to post a SimpliSafe review …. or would like additional information on the new SimpliSafe Camera. The Home Security Advisor was developed to assist you in finding the answers you need. Our goal is to help you make informed selections pertaining to home security. Besides extensive analysis as well as bottom line ratings, you can find an area for genuine customer SimpliSafe reviews, side by side comparisons with reputable suppliers, plus common questions. We share techniques for avoiding false alarms, how to trim expenses on your insurance costs and several other potential benefits of owning a system. To help you learn more about SimpliSafe Home Security, as well as a few of the alternative top selling home security service providers, we have included a useful table of contents. There are “quick jump” hyperlinks to help you navigate directly to the sections which are of the most interest. This 2018 summary is followed by an in-depth editor’s review and a section for customer’s SimpliSafe Reviews. Customer reviews and ratings are averaged and appear under the editor’s “HSA Reviews” score in the “Users” votes. If you have a system, please share your experience in our section for customer SimpliSafe Reviews. Low Cost, No Frills DIY Security. See how SimpliSafe compares with the competition! Although there seems to be an abundance of online negative feedback regarding customer service, SimpliSafe Security enjoys an A+ BBB rating. Founded almost 10 years ago by Chad Laurans, SimpliSafe has a straightforward philosophy of creating a reasonably priced, simple security system without contractual monitoring commitments. There is no monthly monitoring service contract. However, their reputation has been called into question in recent articles. These articles claim they have uncovered system vulnerabilities and exposed inconsistencies in company claims regarding whether or not the equipment meets established industry standards. While SimpliSafe systems can be used as just as a local alarm, the SimpliSafe App will not work without monitoring. Their UL Listed, Five Diamond Certified monitoring is provided by COPS Monitoring. They provide 24/7 protection against intrusion, medical and personal safety, fire and environmental hazards. SimpliSafe monitoring uses fully integrated cellular-based communications. The signal is sent through a base station that is independent of the keypad. This eliminates the possibility of defeating the system by disabling the main keypad or cutting a phone line or cable. Alert -This plan provides the same coverage as standard and includes SMS or E-Mail notifications when the system is armed, disarmed or activated. The price for this level if service is $19.99. Interactive– For $24.99, the system will include interactive capabilities, in addition to the standard and alert features. This will enable you to receive notifications and control your system on any computer, tablet or mobile device. Additional components are aggressively priced and more cost-effective than most competitors. The Base Unit and the Wireless Keypad are separate units. This eliminates the likelihood of an intruder disabling the keypad and defeating the system with a crash and smash attempt. Oddly, the siren is also located in the base unit….making it relatively easy for the intruder to identify the location of the unit…and destroy it before the signal goes out. One of the most common complaints in online SimpliSafe reviews is the fact that the components are somewhat antiquated. This has been addressed to a certain degree with the introduction of the latest iteration of hardware…the SimpliSafe 3. The keypad is still pretty basic, with limited functionality compared to some of our Top Rated Alarm Companies. However, it is definitely a marked improvement over its predecessor. Additionally, while the SimpliSafe 3 has yet to be fully integrated with the IFTT channel of home automation, it now works with Nest and can interface with Amazon Alexa. Further 3rd part integrations are possible in the near future as it is now wi-fi capable and can receive remote download firmware upgrades. Online security researches and many SimpliSafe security reviews have expressed their displeasure with the fact that the new SimpliSafe 3 security system is not backward compatible. In addition, the SimpliSafe equipment is proprietary. This means that it cannot be used with any other company’s systems, which use more highly recognized brands such as GE, Honeywell and 2-Gig. SimpliSafe was designed from the ground up as an affordable, easy to use, simple to install DIY system. They provide all the requisite instructions, videos, tutorials and one-on-one support to complete the installation with relative ease. While the customer experience is generally positive, there are a substantial number of online complaints regarding the hours of availability and overall quality of the customer service. Should a call become necessary,there is no 24 hour tech support. They offer a simple security solution at reasonably affordable price points. Equipment is DIY only and must be purchased separately from the monitoring. This makes upfront costs higher. Overall, their product offerings are rather limited, lack encryption and online feedback indicate that there is room for improvement in customer service. While it is a reasonably good choice for the budget conscious DIY’er, our top alarm companies offer a far greater range of services and, for most, represent a better overall value. 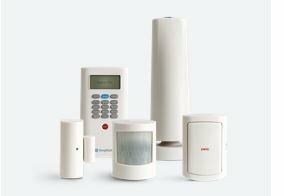 Can SimpliSafe Compare to our Top Alarm Companies? Share your experiences below, in our section for SimpliSafe Reviews. -is a self contained control and communication panel which is positioned separately from the keypad which minimizes the chance of being destroyed in a crash and smash style break in. It is equipped with a cellular communicator that and a GSM sim card that is activated when you subscribe to the monitoring service. The 85 db siren is located in this base unit which accommodates up to 41 sensors. For redundancy, the base unit can also be attached to both phone and internet lines. The Simplisafe Keypad is located seperately from the base station. While the aestetics leave a bit to be desire, by today’s standards..it is functional and is a bit more secure. However care must be taken to place it close enough to the base station. Wireless Keypad– is mounted separately from the base unit. This will ensure that a signal is sent to the monitoring station, even if the keypad is destroyed. Keychain Remote– enables you to conveniently arm and disarm your system. It also contains an emergent panic button. Standard door and window sensors are mounted via industrial strength double stick tape and reportedly work within 400 feet of the base unit. The magnetic contact will register within 2 inches of the transmitter allowing more flexibility of placement than many sensors. – detect thermal output for a 30′ range over a 90 degree angle. The sensor provide pet immunity-screening out pets under 50 lbs. Glass Break Sensor – Detects the audible sound frequencies of shattering glass. This is a great way to protect rooms with sliding glass doors and lots of windows. Utilizes photo-electric chambers to detect smoke. It interfaces with your SimpliSafe security system and will alert the central monitoring station automatically-whether you at home or not. Carbon Monoxide Sensor– Detects this odorless deadly gas before it can harm your family. Will alert authorities of the dangers with a monitored system. Wireless Freeze Sensor– Detects low temperatures in the home and guards against the possibility of freezing pipes in the event of a heating system failure. Wireless Water Sensor– Can detect water or flooding in areas with extensive plumbing or that are vulnerable to flooding. Can be very effective in detecting leaks that might lead to damage and mold infestation. 105 Decibel Siren– Can be mounted externally to alert the neighbors in the event of a break in. Up front pricing for a SimpliSafe home security system a bit more than you want to spend? SimpliSafe even offers like new, full inspected and warrantied SimpliSafe refurbished equipment. Overall, the SimpliSafe equipment selection is very functional, although perhaps a bit outdated. However, the fact that the base unit is separate from the keypad is a big plus when protecting against the possibility of a crash and smash break in. Incorporating triple redundancy, with the cellular as a primary means of communication (landline and broadband service to the unit are also available) is an excellent security feature. If you are seeking a basic affordable home security system, without home automation and a lot of bells and whistles…SimpliSafe is a solid choice. Probably the common criticism in online SimpliSafe Reviews is the rather outdated look of the equipment. Sensors were large and clunky and had very limited range. These issues were addressed when they have recently introduced their new updated equipment line-up at the 2018 CES. In addition to decreasing the size of many of the sensors, they have increased the range. While they don’t offer any sort of touchscreen interface, the new keypad illuminates in the dark. Color options have been expanded and sensors are now available in a more high tech matte black finish. While they still can’t be compared to the current home security state of the art, SimpliSafe is definitely showing that they are responding to customer feedback. 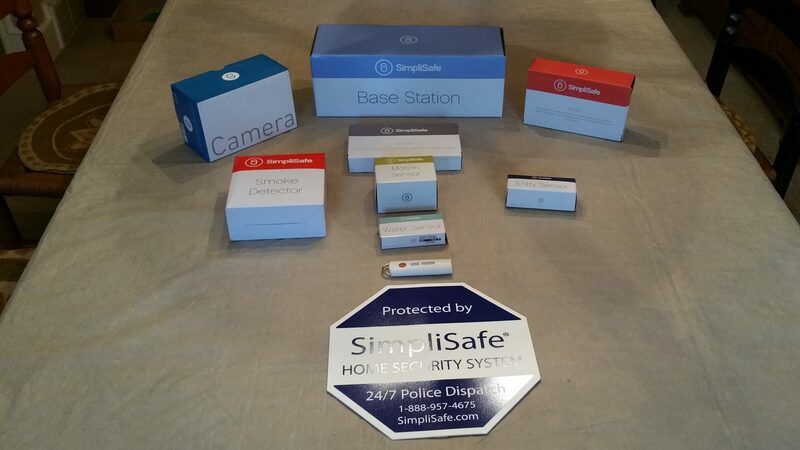 Simplisafe offers a full range of equipment packages to meet the needs of a full spectrum of potential customers. Don’t see a package that fits the bill? No problem, you can customize a system to your exact needs with the SimpliSafe Build Your Own program. Who are the Top SimpliSafe Competitors? SimpliSafe provides a relatively simple and inexpensive security option. While the equipment and technology may appear somewhat outdated, it still does the trick. They provide a good option for those who are just looking basic security without any bells and whistles. 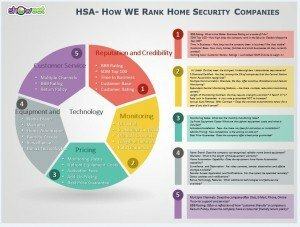 You can see how they fare against our top rated home security companies or in the side by side comparison summaries , below. Is SimpliSafe Security Easy to Install? We put SimpliSafe to the test. Our Hand’s On SimpliSafe Reviews Reveal the Truth.. When it comes to DIY Alarm systems, all the best wireless home security systems claim to be easy to install. However, most prospective customers have some reservations based on past experience with other alarm systems. They have gone to great lengths to streamline the process and make it simple for their customers to get the security they need to protect their homes and keep their families safe..
Each sensor comes in a clearly marked box-making it easy to identify. The company realizes that most customers have never installed a system, so they provide clear instructions and a data stick that will walk you through the process. Minimal settings are required. After quickly reviewing the instructions, the average person can have everything up and working in under an hour. With SimpliSafe Home Security, you have the option on how you wish to monitor the system. You can subscribe professional monitoring service or you can just use it as a local alarm. Either way…there are no contracts required and either option is available on a monthly basis. So…let’s take a look at what you can expect when you place an order. Our system arrived via UPS 5 days after the order was placed…and here is what I found. 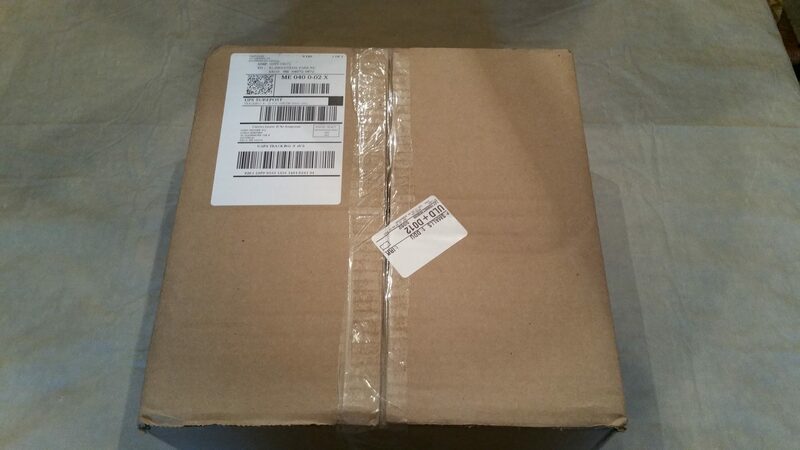 Unlike some of the other systems we have reviewed, the system arrived in a non-descript, standard shipping box. There was no branded packaging that one might find with a premium product. No matter, I guess- premium packaging doesn’t protect your family…but, I was a bit underwhelmed. Unlike some of the competition, such as Frontpoint, there was no custom packaging with special inserts for each of the components. They were merely neatly arranged in a box with very minimal packing to prevent potential damage. Each of the components was clearly marked in individually branded packaging. Mounting instructions were clear and concise…and the Keychain Remote has a built in Easy Setup Wizard which can be accessed through a USB port on a computer. This will walk you through the process of setting up your system. Each of the devices are clearly marked and packaged. 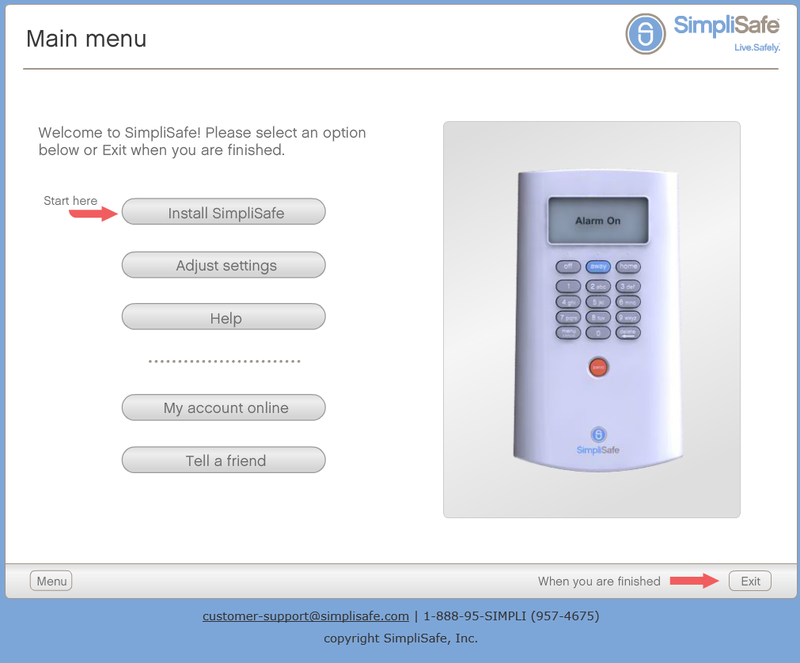 One unique feature of the SimpliSafe system is that the remote key chain also contains a flash drive with a step by step set up guide that can be plugged in to the USB port on your computer. It will also enable you to easily set up pin codes and personalize system settings. Once you have completed set up, plug the USB into the base unit, and it will sync up the settings. If you don’t have access to a computer, the user manual will walk you through the programming. While most of our top rated DIY alarm companies will pre-program the system before sending it out, the SimpliSafe set up process has been streamlined and is pretty straight forward. The sensors are most easily mounted using the enclosed padded 3M mounting adhesives,although mounting screws are provided with some devices. Unlike many other systems, there is no desktop mounting bracket for the keypad. It is designed to be mounted to the wall with mounting adhesive, as well. Essentially, it is just a wireless keypad, so it does not require a power source. The base unit requires a standard power source (and is also equipped with a back up battery) and is mounted separate from the keypad. It houses the central control panel and communicator, so it should be placed in an area where there is good reception and where alarm notifications can be heard. It is not particularly loud, so we recommend the addition of their remote 105db Siren….which is VERY loud. Once all the devices are mounted…one should “walk test” the system- to check that all the sensors are communicating properly. Open and shut doors and windows. There is a button that puts the motion into test mode. Thankfully, all our sensors worked perfectly straight out of the box. The base unit will “announce” each device as it is tested. Unlike many home security systems, the SimpliSafe alarm system is not capable of announcing a specific location- such as “front door”….”living room motion”. Once this is done, the system can be activated easily by following the online account set up process in the tutorial. Setting up the SimpliSafe system was easy. Just plug in the flash drive into the USB port on your computer and it will take you to their online portal and prompt you through setting up your online account where you can personalize your SimpliSafe Security System and manage your settings. First you will set up 1 or more user PINs. This is the 4 digit code you will be using to control the system at the keypad. 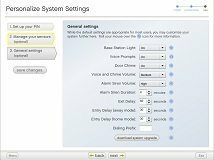 You can further personalize your system in general settings by setting such things as entry delays and how different components will respond in certain modes and situations. For instance, you might set a motion detector to not be armed in the Home mode. And finally, you can set up your account to be monitored 24/7 by SimpliSafe’s professional monitoring services, which are provided by C.O.P.S. monitoring. Once you have completed this you can save your settings and plug the flash drive back into the SimpliSafe Base Unit. A voice prompt will tell you when the process is complete. SimpliCam Setup…is the SimpliSafe Camera Easy to Install? As there name implies, they make installation for the average customer relatively simple and painless. Of course, in order to monitor and manage your SimpliSafe camera, you’ll need to first download and activate the SimpliSafe App. SimpliSafe supports only Apple IOS or Android devices. So if you are a Blackberry or Microsoft phone user, your are out of luck. The SimpliSafe App can be downloaded from The App Store for iPhone and iPad users. 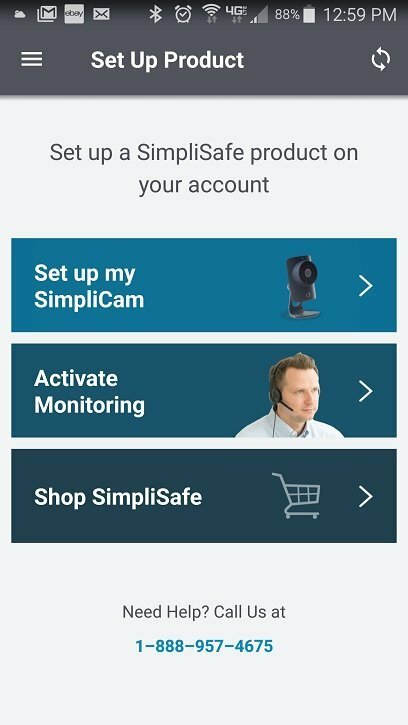 Android users can find the SimpliSafe App on the Play Store. The SimpliCam is wireless, but it does require power. It should be plugged in and positioned within range of your wireless router. Once plugged in it will boot up and a white flashing light will indicate it is ready for setup. 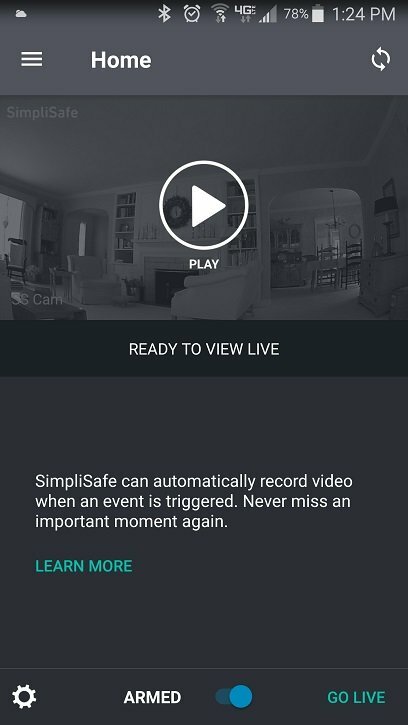 You will then open the SimpliSafe App and select “Install Camera” in the camera menu heading. 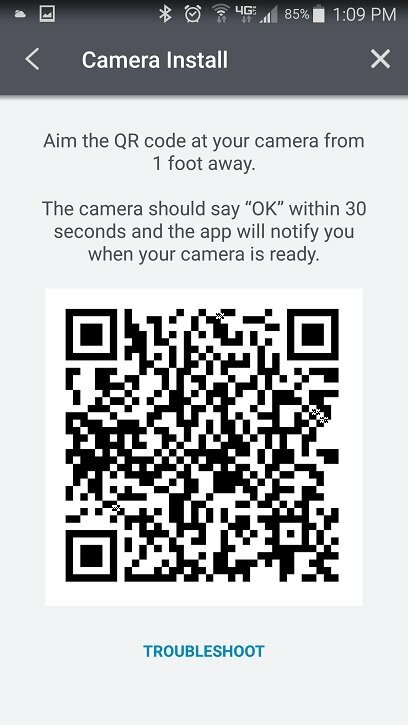 You will be required to name the camera and input your WiFi credentials. Once this is done, select “Get your code” and the app will generate a QR code. Hold your phone about a foot in front of the camera lens. The phone will “read” the info from the QR code and attempt to connect to your WiFi. Once this is completed, the phone announce that it has connected. You will then be able to view and manage your SimpliSafe camera from your mobile device. 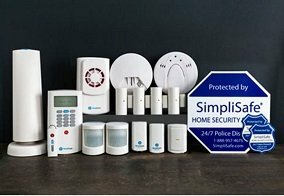 Both SimpliSafe and Frontpoint offer wireless DIY home alarm systems and have a reputation for providing outstanding customer service. They both maintain A+ BBB ratings…but that is where the similarities end. Frontpoint alarms are made predominantly by Interlogix (formerly GE). and Qolsys. 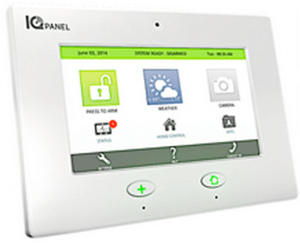 The Qolsys IQ is available as an upgraded panel with a 7″ Touchscreen user interface. Qolsys is fast becoming a household name and is now being offered by some of the top security companies such as Monitronics, Link Interactive, Frontpoint, Vector Security and many more…. These are quality, name brand manufacturers who build equipment used by the majority of the best home security companies. In the event that you ever decide to change service providers, the equipment is compatible with the systems used by most of the top alarm companies. On the other hand, SimpliSafe alarms use proprietary alarm equipment. One of the most common SimpliSafe complaints is that looks somewhat dated compared with the sleek modern systems offered by Frontpoint. No color touchscreen interfaces….no internal cameras…no networked camera display….no severe weather alerts… Simplisafe offers just a separate wireless keypad to enter your code. In addition, this equipment is proprietary…so it is not compatible with any of the other top-rated security companies. If you switch- the components become expensive paperweights…. With SimpliSafe, the equipment is sold separately…so there is no contract required. The trade-off to this is that you end up with higher upfront costs. The equipment is not discounted. Frontpoint provides a complete basic system, including the popular Simon XT security pane,l for just $99.00. This package requires an industry standard 3-year agreement. However, they also offer a 1-year option. However, if you are just looking for very basic security, with no frills-and are willing to absorb higher upfront costs…SimpliSafe is still a solid DIY security value. Protect America alarms are also made by GE/Interlogix, and are backed by lifetime warranty. 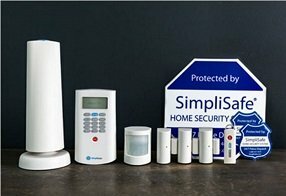 SimpliSafe offers 3 year warranty on their proprietary equipment. 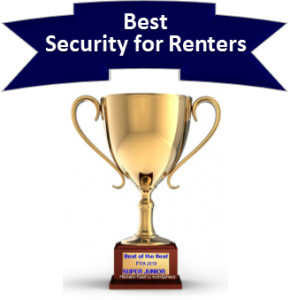 A relative newcomer providing DIY alarm systems, Link Interactive has earned a position in the Best Home Security Companies. They provide state of the art 2Gig Technologies equipment and the exceptional service that has made their parent company, Mountain Alarm, a successful regional alarm company for 60 years. Link Interactive offers one of the most comprehensive equipment selection of any of the Top 5 Alarm Companies. This enables their security customers to take over existing systems and/or put together full featured custom security and home automation systems. They offer a wide variety of equipment from GE/Interlogics, 2 Gig Technologies and Quolsys. They are not your typical DIY pre-packaged alarm company. They have the kind of in depth installation know how and customer service support that can only be provided by 60 years of field experience. Their interactive platform is provided by Alarm.com. 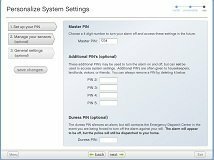 This enables you manage any Link Interactive Security System remotely on an I-Phone, IPad or Apple Watch, as well as an Android phone or tablet , Kindle, Blackberry. Pretty much anywhere you van get web service. Want Video Surveillance? Just $5/mo. More… If you are researching SimpliSafe Reviews, you will find that the most common SimpliSafe complaints reference higher start up costs and the lack of some of the more advanced features found with companies like Link Interactive. Visit Link Interactive and find out why they are a great choice for one looking for a more custom installation with the latest technology. This is a little bit like comparing apples and oranges. However, most negative SimpliSafe reviews cite concerns with the quality of the equipment and the lack of home automation capabilities. We though we would address these SimpliSafe complaints by highlighting our #1 pick for best home automation…Vivint. Of all the SimpliSafe competitors, Vivint offers perhaps the most state of the art home automation equipment powered by the highest rated mobile application. Of course…all of this does come at a price. But, customers looking for premium home automation capabilities will no doubt find Vivint Home Security a far superior option. • Standard Vivint Sky Touchscreen Display Control Panel • Free Professional Installation on most equipment • Top of the Line Monitoring Options • Nationwide Service Network • Voice Control as well as 2 Way Voice Communication Available • Outstanding Home Automation Capabilities • Nationwide Relocation Program • Award Winning Vivint Home App- 4.5 Star Rating! • 0% Interest Flexpay Equipment Financing • Lifetime Equipment Warranty While SimpliSafe Security requires that you purchase all equipment up front, Vivint offers more financial flexibility with their Flexpay purchase option that allows one to finance the equipment with 0% interest. It is important to note that SimpliSafe equipment is proprietary, so if you want better equipment or monitoring features, you will have to start from scratch when you switch. 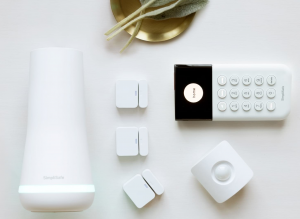 So after reading the SimpliSafe Reviews, you may want to consider speaking to the folks at Vivint to see what it would run to get the security and home automation system of your dreams. Following are some mini comparisons between SimpliSafe and some of the top competition. Our initial interest in Armorax has already decreased considerably for the reason that Armorax continues to demonstrate clues that it’s having difficulties. The BBB standing has recently slipped off dramatically from an A (at the time of the original SimpliSafe review)to a C+. The foregoing might be a sign of the fact that organization hasn’t satisfied user complaints-even when they’re filed using the Better Business Bureau. Throughout our secret shopping efforts, we have found that even the sales department does not pick up the telephone. Inbound telephone calls are usually handled utilizing a voice mail system which instructed us to contact 911 should this be an emergency…or to remain on the line for the sales representative. After several minutes on hold,we were inevitably handled by means of an answering service which will take a name along with telephone number to get return call. This makes one wonder what happens if I have a issues with my alarm system? Additionally, Armorax has switched brands 3 times over the last calendar year. They have converted from the innovative 2 Gig systems, briefly offered the Interlogix Simon XT, and are also now providing the lesser known Resolution Helix control panel. They also have totally changed their monitoring rate plan 3 x in the past twelve months. When it comes to online Armorax reviews, you’ll find that basically no two web sites share the same pricing structure. They originally marketed no contract programs along with plans together with Cost-free equipment and monitoring rates as little as $19.99/mo. (their original cost of $24.99/mo. 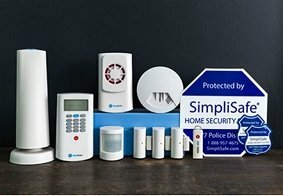 for security and full home automation was an excellent value, when our original assessments and side by side comparisons in our Simplisafe Review were completed …However, this pricing nor the equipment is no longer available) Their current offer will set you back $99.00 up-front and additionally standard monitoring starts at $34.99. The Mobile APP is additional! In addition, the total absence of online transparency does nothing to promote confidence. At this time there’s a a single page website that features little or no details about the firm history, equipment, costs, monitoring provider and services, Mobile App, Installation guidelines and / or video tutorials …or nearly anything otherwise that a potential customer may want to know. Although the company showed good potential originally, we are no longer keen about them as a reliable option to SimpliSafe. In our assessment, you will find superior alternatives – such as Frontpoint, Protect America or Link Interactive. 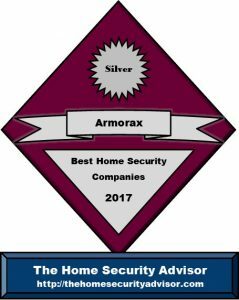 Below is the information contained in our original 2017 Armorax vs SimpliSafe Reviews, for comparison purposes. The 2Gig Control panel incorporate Cellular, Wifi and Z-Wave technologies for home automation. All included, right out of the box-so there are no expensive add ons required. Armorax add ons are competitive with our other top rated DIY alarm companies…and everything comes with a full 3 year warranty! SimpliSafe equipment is purchase separately from their monitoring. In comparison with the Armorax Blackbox Security System, the SimpliSafe equipment looks absolutely archaic. Despite this fact, the up front costs are significantly higher, with a basic SimpiSafe starter kit running $239. This is one of the most common SimpliSafe complaints you will see in a SimpliSafe review. And to top that all off….the equipment is proprietary and cannot be used with other systems. Consequently, if you want to change your service provider, your equipment investment goes down the tubes. All for the same $25/mo that they will spend on SimpliSafe Interactive Monitoring. Yes…you do have to authorize a 36 month agreement…but that rate is guaranteed as long as you stay with Armorax. What happens when SimpliSafe decides they want to increase rates? Armorax delivers state of the art, DIY security and home automation products with the lowest available cellular monitoring that includes Alarm.com services. It is truly an unbeatable value. While Simplisafe security systems offer low cost security solutions… LiveWatch alarm systems are comprised of name brand components from GE and Qolsys and have full video and home automation capabilities. In addition, LiveWatch includes premium monitoring services such as Crash and Smash, Geo-Fencing and their exclusive ASAP’er premium monitoring notification feature. Why should I choose SimpliSafe Home Security? SimpliSafe offers basic security at an affordable price….with no contractual requirements. It is a DIY program with no available professional installation. Equipment is proprietary and somewhat outdated-but it is reliable enough that the company offers a 3 year warranty. At this time there is no available home automation or video monitoring available. Nevertheless, the program may appeal to the Do It Yourself’er with a keen eye on budget. If you are looking for video or home automation capabilities….or just more up to date technology- you would be better served by one of one of our best rated home security companies which offer a far greater range of equipment and services. OK…after reading this Simplisafe review…you’ve decided to switch from your current provider. Virtually all security organizations require a three to five year monitoring written agreement when you signed up. It is just a somewhat typical concept with the alarm business. (One of the reason there are so few negative SimpliSafe reviews is that they have no contracts) If you are switching toe SimpliSafe, you will be basically starting from scratch…so it is very important to make sure that you terminate your existing contract properly…as you will have to buy all new equipment. Many of the other trouble spots when it comes to the security deals will be: Escalation clauses- A lot of companies retain the authority to increase monitoring charge following the initial year…even when the contract period is actually longer. Auto Renewal Conditions – Certain legal contracts routinely renew on an yearly, or possibly extended time frame after the initial term is finished unless the individual formally cancels the deal as well as satisfies the specified stipulations associated with contract termination. Cancellation Terms – Routinely times, the deal will need to be ended in black and white, 30 or even Sixty days before the end of the actual written agreement. Make sure that you contact your previous providers’ support services and understand precisely what requirements really need to be met in order to cancel the binding agreement. When it comes time to complete your long term contract, just be sure you take all the appropriate actions and record each of the conversations. We recommend that you: Call- and consequently document the phone call with time as well as contact information Mail- Mail out notice via certified postal service E-Mail- that includes “read “receipt Make certain each of the methods are well documented and safeguard them in case there is a conflict. Also- be sure to check your banking account to ensure there are not any automatic debits after the specified date. As a result of your experience with SimpliSafe competitors, you are quite likely going to have a better idea what your ideal supplier should really be like. If you are reading this…you have most likely evaluated a number of SimpliSafe reviews and have settled on them. If you are still up in the air after reading this SimpliSafe review, you may want to take a look at some of our top rated SimpliSafe competitors to see what company is best suited for you. Many customers have found this short quiz helpful in narrowing down the many choices. Will my pets trigger the SimpliSafe Alarm? will ignore small pets under 40 pounds if they are appropriately positioned. 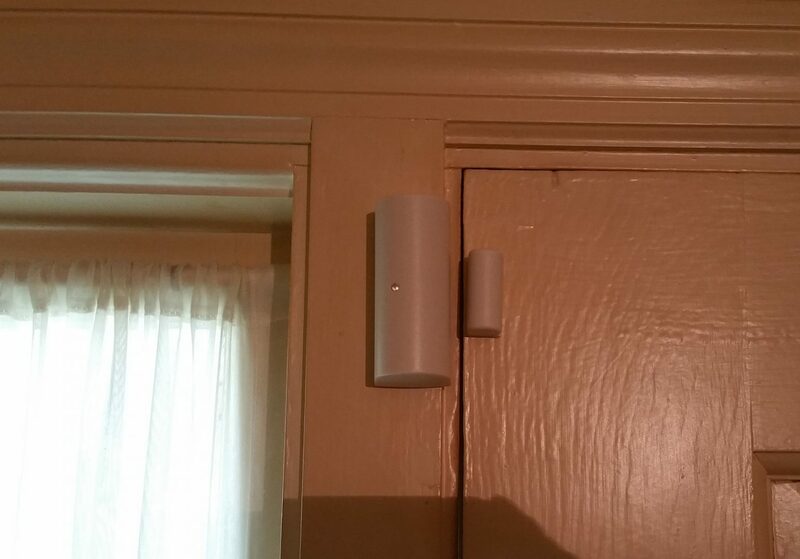 Most issues reported in SimpliSafe Reviews result from improperly positioning the motion sensor. If you have a larger pet…ask about sensors that could screen out pets up to 80 lbs. You can even create a”pet alley” or install a glass break detector as an alternative. Are security Simplisafe cameras available? The SimpliSafe Camera System is a Beta release, and does not currently have advanced features such as record on demand, motion detection, and 2 way audio. In addition, video storage requires and extra $4.99 monthly subscription. While the Beta Release is a step in the right direction, if one doesn’t mind a separate App, clearly the Zmodo Pivot offers a superior value when added to a SimpliSafe system. How often do I need to test my SimpliSafe alarm system? It is recommended that you test the SimpliSafe security system at least once a month. While you may not find it in your research of Simplisafe reviews, it is not uncommon that some people may go months or even years without testing their system. Many issues can be easily uncovered and remedied during a weekly test. It is up to the owner to test the system periodically to ensure the SimpliSafe Camera and alarm system is operating correctly. It is especially important to check system if there is a recent change in internet or phone system. For information on how to test your system, reach out to SimpliSafe customer support. Do I need a landline for Simplisafe/Camera monitoring? A SimpliSafe system does not utilize a landline for monitoring. So…if you happen to be in an area without cellular service, you are out of luck when it comes to SimpliSafe. However, Protect America has great landline service available for just $19.99/mo. As a matter of fact, only cellular monitoring is available for SimpliSafe security systems. This means there are no phone or cable wires that can be cut to prevent the system from calling the monitoring company in an emergency. The SimpliSafe Camera requires wi-fi to be monitored and controlled remotely through the SimpliSafe App. While some SimpliSafe reviews might complain about the additional expense of a cellular connection, these SimpliSafe complaints are minimal as the cellular only monitoring is competitively priced. OFF — When your SimpliSafe system is switched off, many of these alarms are still active. For instance, your SimpliSafe alarm system will still alert you when a doorway or window is open and environmental and life security sensors (i.e. water or very low temperatures ) are still working to protect your home. Therefore when a fire breaks out or there are excess carbon monoxide emissions current, your system will still alert the SimpliSafe central monitoring station. Stay– You are able to arm only the perimeter protection in the doorways and doors by arming your system at the”home” mode. This will let you move about the home freely and have a certain degree of security. Away– This will trigger any interior motion sensors in addition to the windows and doors. Instant — You are able to remove the entry delay in your SimpliSafe Alarm system by arming it in instant mode. Duress – You may establish a particular duress code which can notify the monitoring center that there’s a possible hostage situation. If a person were to force you to disarm the system, this code will activate immediate emergency response. If you’re already a SimpliSafe client, please don’t hesitate to talk about your experiences in our area for SimpliSafe Reviews. This is not just an area for SimpliSafe complaints. We are especially interested in your SimpliSafe Camera Review…for those of you who may have recently added or got a system with a SimpliSafe Camera. By contributing your SimpliSafe Review, you are providing valuable insights from the customer viewpoint. What are the most common SimpliSafe complaints? Most negative online Simplisafe reviews have to do with unreliable and outdated equipment, poor customer service and the lack of home automation. It is not uncommon to find a SimpliSafe review from customers that are frustrated by the lack of tech support and customer service after normal business hours. 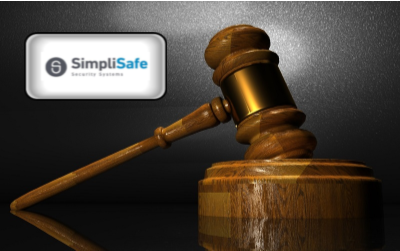 The fact that they do not require a monitoring contract pretty much eliminates the most common complaints that SimpliSafe competitors experience- such as auto renewal clauses and cancellation fees. Consequently, there are not as many Simplisafe complaints registered with the BBB or negative online SimpliSafe reviews. A common Simplisafe Customer complaint is that they are getting an error message thet indicates that the SimpliSafe keypad is out of range. Because it must communicate wirelessly to the base unit, the keypad and the base unit must be placed in reasonably close proximity. While they typically recommend that the SimpliSafe Base Station is hidden. this is not always possible- as the 2 units need a clear line of communication. This may leave the base station in a more vulnerable location. That is one of the reasons we recommend systems equipped with Crash and Smash protection. Do I need a permit to install a SimpliSafe Security System? Is it essential to secure an burglar alarm permit to operate a SimpliSafe Home Security system? Strictly speaking, you do not need a permit whenever the system is not going to be professionally monitored. Nonetheless, if you choose to have your system professionally monitored, that is a different story. In that case, local towns would require a permit. In most cases, this will involve very simple registration with a local law enforcement or sheriff’s dept along with some sort of moderate payment. The vast majority of municipalities will require a one time payment to register an individual’s home security system. Some areas take a yearly renewal additionally. In cities with higher false alarm rates, failing to register may end up in a refusal to respond to places that don’t have an alarm permit…although this is relatively unusual. In addition, you might have to pay additional fees when police, fire or emergency medical support end up being dispatched to an home without a permit present. That’s why it is crucial that monitored Simpli Safe alarm customers call his / her local police department to learn what permits will be required. As stated earlier, false alarms can put a strain on your community resources and might end up resulting in costly fees and penalties The majority of police and fire calls to residences with security systems are a result of false alarms. Consequently, most cities charge fees to alarm system owners once they exceed a certain amount false alarms. To avoid this happening to you, here are some ideas to protect yourself from a false alarm with your SimpliSafe system. .• Make sure that everybody knows the way to disarm the security alarm. Your security alarm will have a master passcode, along with a number of additional individual codes that can be programmed into the system. Try to make sure that everybody knows their code and learns how to disarm the security system. • Be certain that everyone knows the password. If there is an alarm, the central monitoring station will contact your house first and ask for the security password. They will send the authorities if one doesn’t respond correctly. • Be certain that every window and door is properly secured before setting the system. The alarm can easily be set off if a gust of wind blows open a door or window. • Ensure that all mounted properly. Motion sensors should be set up at a height of 6’ and in an area that is devoid of fans, heating units, fireplace and air conditioning systems. • Be aware of items which might possibly set off a motion sensor. Pets are not the only culprits. Air conditioners might cause fluttering curtains or plants. Even helium balloons can set off an alarm if they are carried around the your home because of air currents. Make sure they are tied down clear of motions. • Ideally, pets must really be limited to zones away from motion sensors. Any time that isn’t doable, get “pet friendly” or “pet immune” sensors which are able to screen out smaller sized pets below 40, 50 even 80 lbs. Motions can also be set up to generate pet alleys where pets can move about freely . Another option is to utilize glass break sensors as opposed to motions. • You’ll want to replace batteries when needed. The majority of alarm systems have Li -Ion batteries which usually have at the very least a 2 year lifespan. Your SimpliSafe control panel or SimpliSafe App, will usually alert you as soon as the batteries are becoming low. Typically, they alert you once there’s about thirty days of effective life. It is a good idea to keep surplus batteries on hand and switch them out right away. Your system will also alert you should there be any other troubles with sensors. If you receive a system error notification, conduct a status check for the sensor. Get hold of SimpliSafe customer service if it looks like it’s not working. What are some of the other benefits of purchasing a SimpliSafe system? Some individuals visualize a security system as just a burglar alarm system, when, in fact, the technological enhancements unveiled in recent times have generated the advancement of home security into a much more all-inclusive security, energy and home management system. Most modern day systems offer a massive leap in features over systems of a decade ago. One of the greatest benefits most often cited in online SimpliSafe Reviews is the fact that the systems provides you with basic protection without any sort of contract required. Of course this leads to SimpliSafe complaints about higher equipment costs- as the customer must purchase the equipment at full price. The pros and cons of signing agreements in exchange for equipment subsides vary greatly from one SimpliSafe review to the next. Following is a partial listing of benefits that SimplySafe security alarms buyers will love. Safeguard Against Break-ins. Statistics point out that you’ll be 3 x less likely to end up being broken into using a professionally monitored home security system. Even the most basic home alarm systems could normally provide several tiers of protection. A yard sign and window stickers will discourage would-be thieves from targeting your home. Perimeter sensors at the doors as well as vulnerable windows to thwart anyone attempting to gain entry. And finally, installing motion sensors and glass break detectors will identify when access has been gained. Activating any of these devices will be able to trigger a local siren to and, if your system is monitored, notify the central station of a security breach . Carbon monoxide is a colorless as well as odorless gas generated by inefficient combustion. Toxins coming from running car engines, propane stoves, generators, improperly operated heating systems, combusting timber as well as charcoal can all be hazardous if undetected. It is common for one experiencing carbon monoxide poisoning to become nauseous, light headed, disoriented and too confused to summons emergency assistance. Thankfully, a home security system with CO protection will call automatically. Provide protection From Freezing Pipes. Are you living in an area where temps plummet below the freezing point in the wintertime? The low temperature alarm can protect against the probability of water lines freezing in case the furnace were to stop working. The system is going to notify you if your temperature drops below forty degrees. Medical alert pendants or watches let the aging seniors or perhaps those that have unique needs to be able to immediately summons assistance in case of an accident or medical related emergency. Most of these wireless panic alert buttons will generally function within about 100’ of the base unit. If the system is equipped with 2 way voice communication one speaks directly with the professional monitoring station staff. Keep track of Child Care- A SimpliSafe Camera can certainly be set up to monitor child behavior and keep tabs on the children’s nursery remotely from any computer, tablet or mobile device. This is run by the same SimpliSafe App you employ to run your home security system. Observe Pets- Ever wonder what exactly Daisy does if you are away from the home? Your SimpliSafe camera lets you remotely monitor what happens when you’re away. Keep tabs on Firearm Cabinets and Susceptible Areas . You are able to keep tabs on valuable items and extremely vulnerable locations on your SimpliSafe camera. Insurance carriers provide discounted rates on Homeowner Insurance when the house is protected by a monitored home security system. Rate reductions vary from business to business and the scope of the protection. Normal discounted rates run between 5-20% depending upon the type of security system and the level of services that are provided. Be certain that the insurer knows that the system is monitored. Also, let him/her know whether things such as fire, flood and freeze protection will be included in your security system. 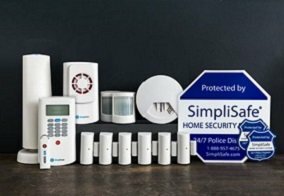 SimpliSafe supplies a certificate of installation detailing the types of services for which your system is monitored. Lots of people are astonished at just how cost-effective that the modern, wireless home security and automation system can be. It used to be that even a standard alarm system would undoubtedly set you back 1000s of dollars. Now, many Simplisafe Competitors such as Protect America, Frontpoint and Armorax security subsidize the up-front equipment costs. This helps to make home security inexpensive for almost everyone! A Simplisafe system can provide PEACE of Mind. You can’t put a value on it…They sleep at night better knowing the loved ones are secured …and that they’ve got total control of the property whether or not are home or out and about. Looking for home automation capabilities AND Peace of Mind? To discover exactly how economical peace of mind might be..look into our Top Alarm Companies. 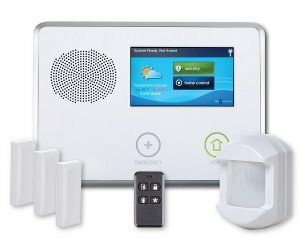 Things to ask your self prior to deciding on a SimpliSafe Home Security System? One of the initial issues to consider is whether you intend to put in the unit yourself or possibly spend money on an expert installation. Historically, systems would have to be hardwired directly into the home. This certainly would involve drilling and even cutting holes in walls, fishing electrical wires and complex mounting and extensive encoding. But…times surely have changed. In fact the service providers which will professionally set up the systems are generally using wireless equipment. The Simply Safe technology has actually been drastically upgraded in recent times to make the equipment exceptionally simple to install and program. Do-it-yourself alarm companies have drastically streamlined the installation process. Many DIY companies pre-program the whole system before mailing it out, so that all the end user will have to do is position the devices and then call in to have the system initialized. SimpliSafe Reviews indicate that most homeowners found SimpliSafe alarm systems easy to install! Benefits of DIY • Absolutely no Installation Expenses – Save hundreds • More affordable Add-on Hardware Prices – Often almost half • Basically no Waiting or Appointment time – No need to set time aside away from your job • Will increase System Knowledge • Easy to transfer Primary advantages of Expert Install • Decreased Effort • More Expertise Despite the fact that a professionally installed system would certainly be easier, the majority agreed that the systems supplied via the preferred DIY alarm companies were definitely simple to put in. They are uncomplicated and ended up saving these folks a significant sum of money over the professionally installed system. 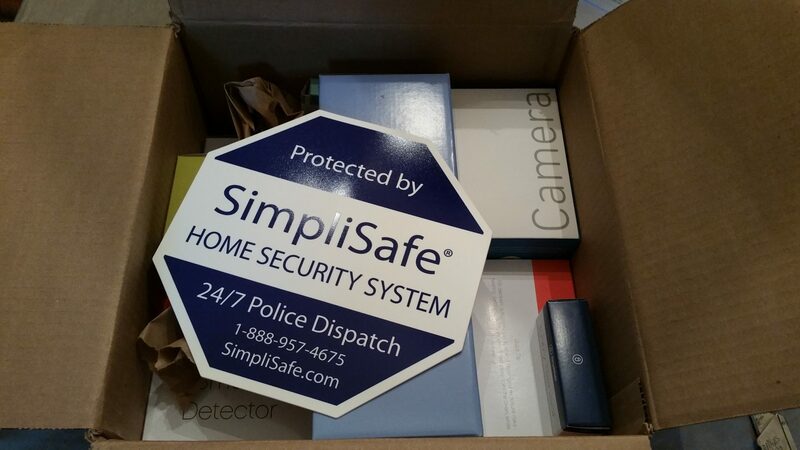 Even installing a SimpliSafe Camera is a snap! In the event you select professional set up with one of the SimpliSafe Competitors, make sure to determine how seasoned your installation technician is. Check to see if they have been background checked and have undergone drug testing. Find out if the company has their own personnel or makes use of third party sub-contractors. Working with sub-contractors isn’t always bad (they may be more experienced than company employees). Nevertheless, make sure they are qualified before letting them into your home. For more considerations, check out the how to get the best home security system section of out 2017 top security companies. When picking a security company to help safeguard your house and family members, we advise selecting a national home security company, such as SimpliSafe Home Security. One of the reasons there are so few SimpliSafe complaints online is that, unlike some of the regional SimpliSafe competitors, the systems can easily be moved anywhere in the US if one needs to relocate the system. No one wants a contract with a cable company that will not service that region, or a small local security provider that can’t provide service if you move. There are many SimpliSafe Reviews which cite how easy it was to transfer the system and have it monitored at the new location. If you currently have SimpliSafe Home Security (especially if you have the new SimpliSafe camera), it would be greatly appreciated if you could leave your experiences in a SimpliSafe Review. Are there many SimpliSafe Complaints about equipment ease of operation? Their systems have advanced very little in the last few years. 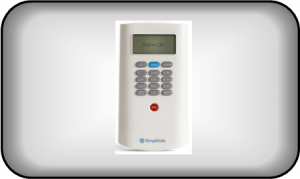 Most SimpliSafe competitors, you will get a sleek, easy to use touchscreen keypad. As many SimpliSafe reviews point out, SimpliSafe has elected to stay with their rather archaic push button keypad. Many providers including Frontpoint Security, now offer streamlined touchscreen panels that are user-friendly and attractive. Currently many companies have smart phone apps with home automation features which permit you to manage your property from any place in the world with computer access. Thankfully, on their $24.95 monitoring plan, they offer their own interactive app. They have also recently introduced the SimpliSafe Camera which can be viewed on the app. Quite a few providers are introducing speech control functions from Google Home or Alexa. These can help you perform most common tasks simply by providing the right voice instruction. While you may find SimpliSafe reviews and SimpliSafe complaints about the archaic equipment and potential system vulnerabilities, you will rarely find a SimpliSafe review which complains that the system is tricky to operate. Most people looking for more modern equipment such as touchscreens and home automation….simply choose one of our the other options in our best home security companies list. How does response time compare with SimpliSafe Competitors? While almost all SimpliSafe competitors claim to maintain the best response time in the industry, it is important to put this in perspective. Your SimpliSafe security system will typically use a 30-60 second entrance delay for your primary entrances to give you a chance to disarm the system. Security systems can be used on “Instant” setting in the event that everybody is home. In this case the siren goes off as soon as someone opens the door. Monitoring center reaction times tend to be estimated from the time that a signal is received to the moment the dispatcher contacts the home to verify the signal. This time certainly should be within a minute. There are few SimpliSafe reviews that would indicate otherwise. In the event no one picks up at the residence, they are they attempt to call anyone on the emergency call list …and then they dispatch the police. Every action has to be time stamped as well as transcribed in the monitoring center. Although you might find an occasional customer that complains about response times, the majority of the top rated security alarm providers actually do a excellent job. 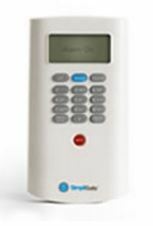 You will generally have difficulties finding SimpliSafe complaints pertaining to response times. SimpliSafe recommends that your security system is tested weekly to ensure that security system and communications are working right. Nationwide, the average reaction time by the law enforcement is about 7 minutes or so. However, this tends to vary considerably depending on the location of your home, the type of the circumstance, whether there’s audio or maybe on-line video confirmation through the SimpliSafe Camera. Other factors involved are the demand for and availability of neighboring emergency services during the time of the call. If you already have a system and can offer information on their real life response times, don’t hesitate to share your experience in our customer SimpliSafe Reviews . SimpliSafe Reviews report what happens when the power goes out. The SimpliSafe security system comes with a battery back up system that should provide power to the unit in case of an electric power outage. This is a typical 24 hour power supply, but this will vary somewhat depending on the key pad screen, individual configurations as well as the quantity of components. If the SimpliSafe system converts to backup electrical power, the system would certainly beep to alert you and require someone to key in the code. The system may also alert you through text message or e-mail if you have set up remote notifications. While there are very few SimpliSafe complaints regarding the life of the back up battery, if you are an existing SimpliSafe customer and have had experience in a power outage, please don’t hesitate to leave your experience in our review or comment section. Below some basic steps to safeguard your home from criminals. 1. When you’re going to sleep in the evening, as well as likely to be out and about, close as well as secure all doors and windows. 2. Reinforce entrances by installing deadbolt locks with heavy duty strike plates which have a minimum one inch throw. 3. Sliding glass doors happen to be an easy target. To stop thieves from forcing them open, place a metal rod or piece of wood within the track and install vertical bolts. 4.Keep bushes as well as bushes surrounding windows and doors trimmed,. This will make it tough for a burglar to stay concealed..
5.Keep your home properly illuminated. Exterior motion lights are a great deterrent to protect against night time property invasions. Consider a professionally monitored home alarm system from one of the best alarm companies. It is going to greatly reduce the chances of an attempted break in, and provide you with a number of other life safety benefits designed to increase your sense of security and give you 24/7 peace of mind! Thank you for visiting! Please feel free to share our SimpliSafe Reviews. If you or someone you know has experience with a SimpliSafe Home Security system, we hope you will share that experience in our Customer Reviews. I have purchased and installed Simplisafe system in the past couple of months. It was simple to install and support has been good. Thus, far I am pleased with the system. Thank you for sharing your experience. We are glad you are happy with your purchase. If you wish to formally rate your experience with SimpliSafe home security, or end up getting a SimpliSafe Camera, you can also score them(which will be combined with other users for an aggregate rating) in our SimpliSafe Reviews section. In the under a year I have owned it, I have had several issues, and have had several interactions with their customer service. The customer service was pretty mediocre/bad…LONG wait times to get a person, and poor/incorrect information given when I did talk with someone. Plus, everything about them pushes you towards their more expensive monitoring plan…their smartphone app is next to useless without it. Thank you for sharing your experience with SimpliSafe, Larry. If you wish to provide a rating which will be factored in to our average customer rating score, you can rate SimpliSafe Security (or the new SimpliSafe Camera) in our SimpliSafe Reviews section. SimpliSafe is only as good as human memory. Most homes have several inhabitants all of whom must think and remember to activate the system when they happen to be the last person leaving the home. This provides a system that is wrought with error… human error. What’s worse is that this situation is totally preventable. If SimpliSafe would simpli (<–sic) integrate with IFTTT.com system activation could easily be automated and human error totally avoided. Why is it SimpliSafe is counter to this automation which could be accomplished with very little coordination? Yes, it does seem that SimpliSafe has chosen to stick to the more basic technology. In some respects, it is hard to argue with their success….and staying true to their roots. Thus the name -Simply Safe is certainly apt. However, there is also a case to be made for keeping up with the times. Sustainability in the tech market is also about staying relevant. For the more technologically inclined that are looking for a great value…you might check out Protect America. It is our #1 pick and offers very low up front costs. What an odd and perhaps silly statement. There is NO automation that will solve all problems. I don’t know what IFTTT is, but imagine it is tied to “where’s your cell phone”. And you think that would lead to “human error totally avoided”? Wake up. Errors happen. Technology errors happen all the time.